iDeal Pest control has a service to treat each and every one of your problems. 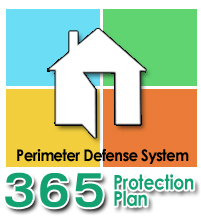 Our 365 Protection Plan offers you piece of mind by protecting your home and family from all rodents and insects 365 days a year by combining integrated pest management practices with our Perimeter Defense System. The 365 Protection Plan comes with a full one year warranty with unlimited service calls on the interior and exterior of the home. You are essentially guaranteed pest free! iDeal Pest Control has programs available for any residential home. All of our programs are designed to eliminate any of your pest issues and protect your home, pets and family. If any of our services or programs don’t fit you, we will design one to your needs. Each one of our programs are designed for your exact pest control needs and budget. Our Summit-Portage location is fully licensed and insured to perform wood destroying insect inspections for real estate and loan transactions. Contact our Summit-Portage location for your WDI needs today!